Don’t use an ordinary finish – experience the extraordinary beauty of Sansin. 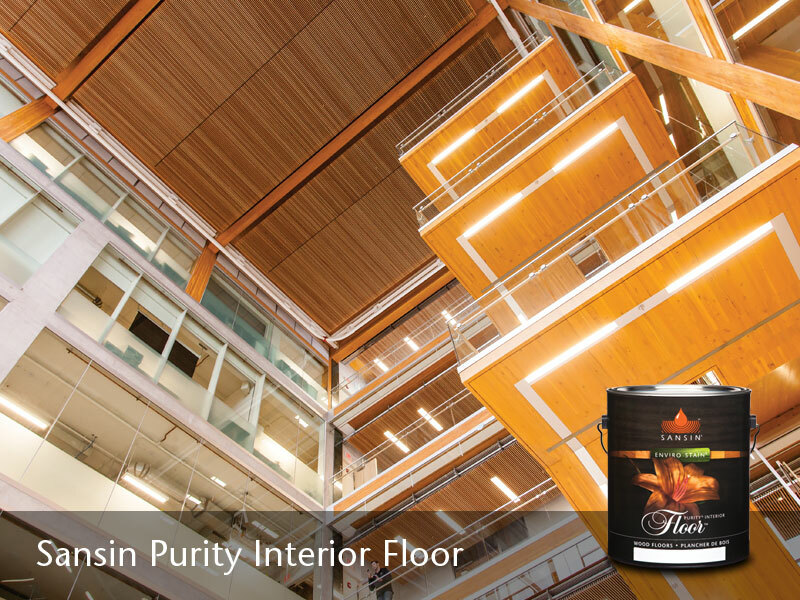 Designed to the exacting standards of master joiners and architects, Sansin Purity is known for extraordinary beauty and clarity of color – while providing durable protection against wear and tear, odors and staining. 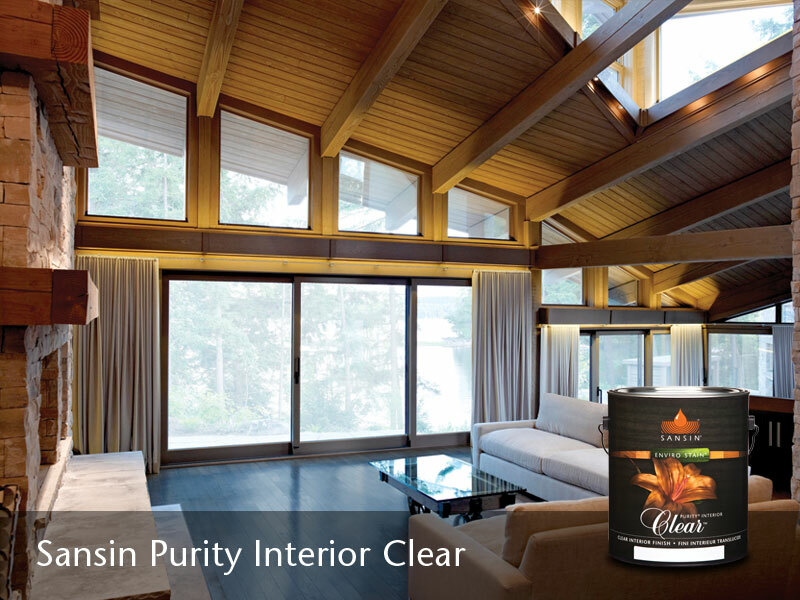 Whether you’re looking to finish cabinetry, shelves, floors, ceilings or walls, there’s a Purity Interior formula that’s right for you. Depending on what surface you need to protect, the look you’re after, and the wear your surface will be subjected to, our range of Interior products lets you choose between clear, stained or solid finishes; flat, satin and gloss sheen levels; and bare wood or topcoat protection. And in each case, allowing you to optimize performance to your specific project needs. 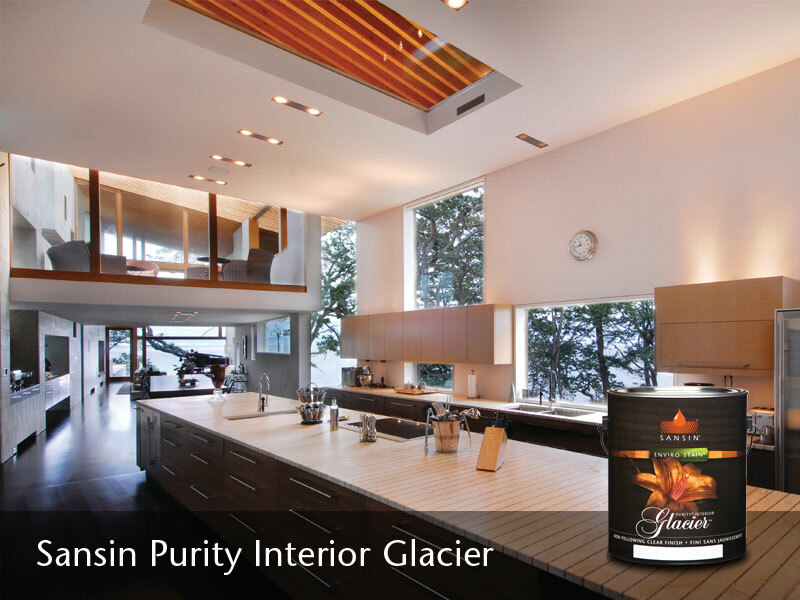 Sansin Purity offers the performance your home deserves without the use of dangerous solvents. 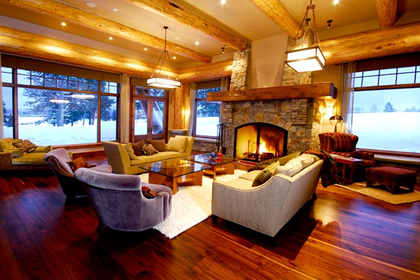 Many interior coatings release toxic fumes into the air – not something you want in your home! 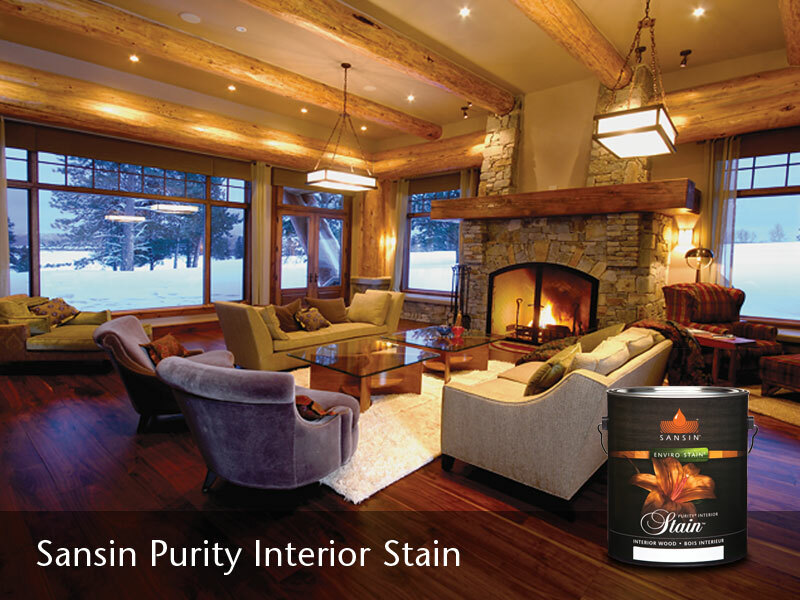 With Purity Interior 0-VOC Stain and Gel Stain, you get remarkable beauty with little to no odor. Because we use pure pigments, the color of your Purity Interior finish will be extraordinary – and with near-zero VOCs, unlike the high VOCs in finishes containing dyes. 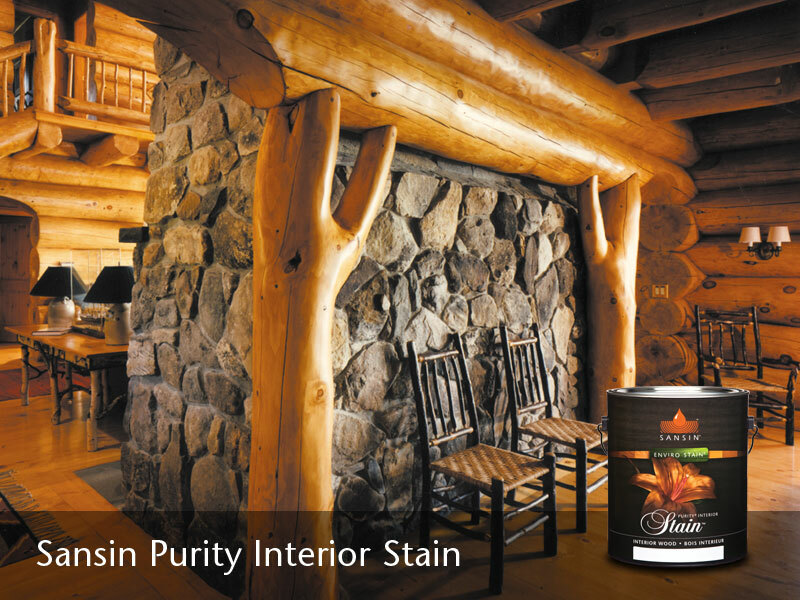 Scroll down for an overview of our family of interior wood finishing products – or get inspired by browsing the Photo Gallery below for examples of beautiful interior projects featuring Sansin Enviro Stains. Ultra-tough gymnasium grade protection for floors.